Here I present one of the options for adventure in our Town. 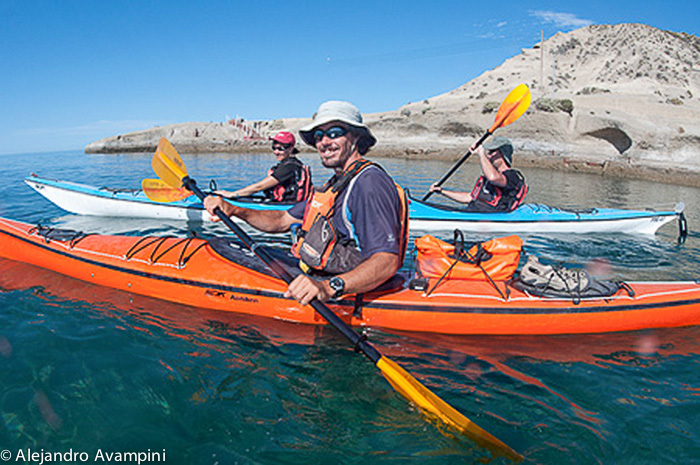 Sea Kayak day Trips to visit the Sea lion colony at Punta Piramide, during this past year this outing become obligatory in Valdes Peninsula, Argentine Patagonia. 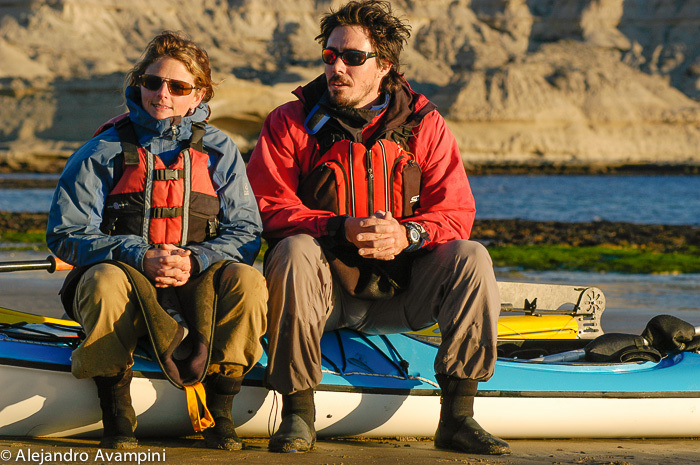 Pablo Passera with Sofia Benegas, her wife, own Patagonia Explorers a small Sea Kayak company who runs Sea Kayak Trips and day trips in Patagonia. With Cecilia my wife we did several trips with this couple of friends, I remember one Sea Kayak Trip in San Jose gulf I’m going to describe. It was 3 days trip around several kilometers of Valdes Peninsula. After organizing all the logistic, we pass 8 gates in 2 4×4 trucks and a trailer with the kayaks, to arrive at one beach our starting point. We loaded into the hatches of the kayaks enough amounts of fresh water, food, and snacks with pure energy. We would begin a journey that would depend on the local Guides. Each couple had their tents, sleeping bags and everything you need for camping 2 nights. 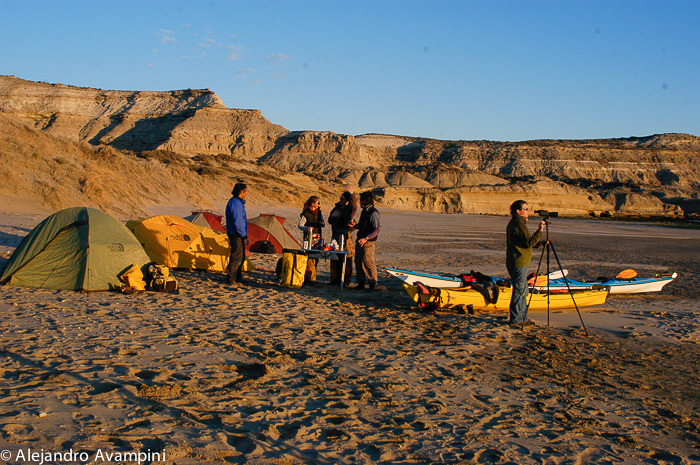 Anxiety to explore and been in the water, led us to prepare to go to Buenos Aires Point. A desolate point, but very sunny, this is the northeast point which forms the entrance to the San Jose Gulf, on the other side is Punta Quiroga. Before the sunset we were at the place for camping, a great asado with a small fire by the beach. Following leave no trace techniques to minimize the impact in these natural places. The sky full of stars was the beginning of stories, and chats between the participants. In the morning, the low tide forced us to move the kayaks to the sea, but with a good team working was ok. Once in the water, the great weather, calm sea, and the pace kept during the paddling allowed us to see and feel the fauna, Sea Lions, some penguins out there swimming and breaths of the whales announcing his placid presence along the coast and throughout the expedition, about 60 whales passed near our kayaks. The transparency of the water let us observe them. Its immense sizes are proportional to the delicacy of harmonic movements. One option that allows this form of movement without a motor, it is navigating in silent. 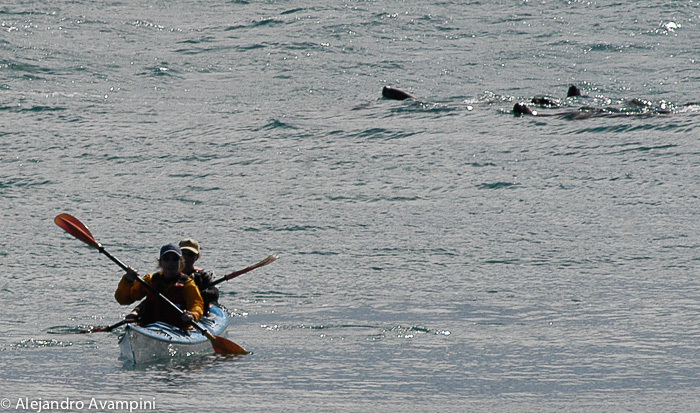 So it was that we entered without altering the behavior of the colony of Sea lions, our advance was in silent, quiet and marveled, calm sea and crystalline, some sea lions came to lean on the side of the kayaks very curious. When we reach the destination beach, we stop for lunch gourmet style with the special touch of Sofi. Sun-dried tomatoes with olive oil and garlic, Dijon mustard and eccentricities in such a desolate and private atmosphere, become a delicious dimension. A short break at the beach lying imitating Sea lions served to rest. 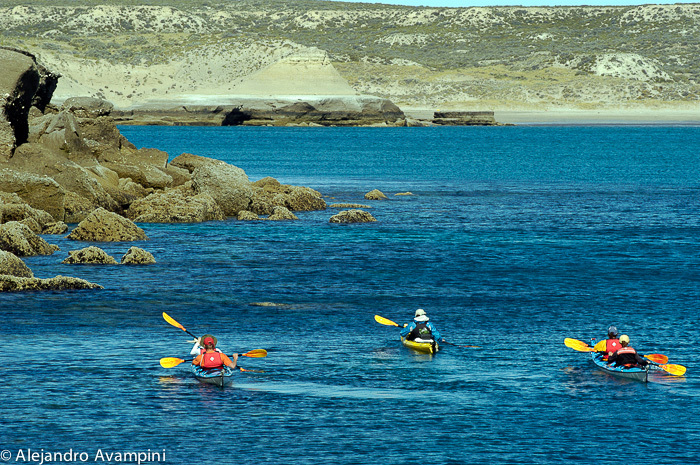 After a while we continued the paddling in our kayaks, heading Punta Conos. A unique rock formation in the area attracted our attention. 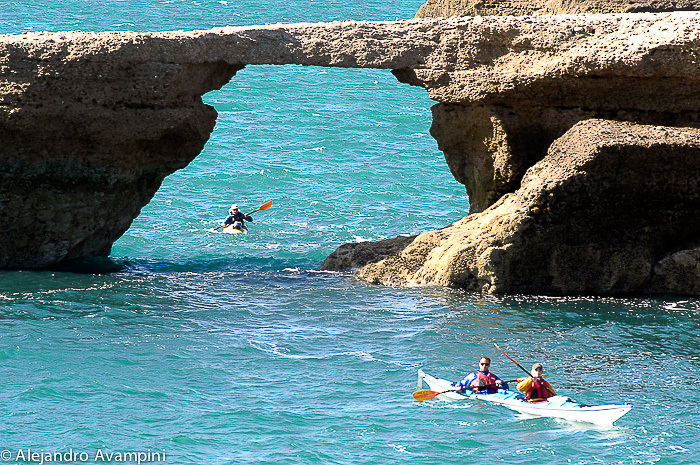 We paddle all under a Bridge. We arrived at the campsite, set up our tents and went for a short trek along the coast. Another spectacular night at Pta Conos, with Bolognese pasta and a relaxed chat with memories of lived experience a few hours ago. 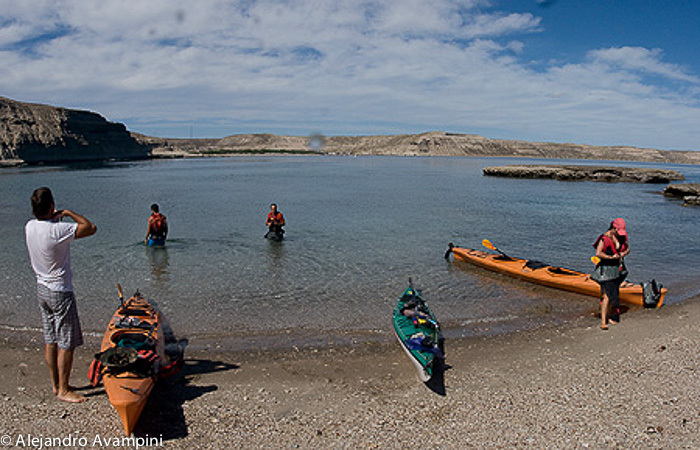 The paddling to playa Fracasso was filled with whales, all resting and relaxing, because the sea was calmer than the days before. The feeling of being tired was completely forgotten for the greats moments that we could live during this days. Once the 4×4 arrived, we could not contain the happiness to do this great trip. 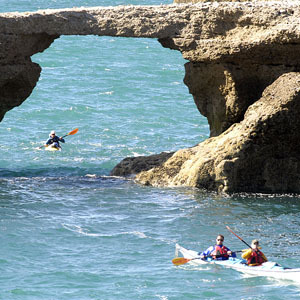 For us, it was the first adventure kayaking in San Jose gulf. The view of the cliff from the solid and comfortable kayaks, the colors of the sunsets and the group camaraderie and professionalism allowed us to experience and document this experience to the fullest. Thank you for giving us this adventure of a lifetime!! Like this young says in his website. “We work for our customers to see covered and exceeded their expectations, they feel comfortable, have a great time and get more knowledge about marine and coastal ecosystem of Patagonia”. If you want to live the Patagonian Steppe, remember that every trip you do, will give you the chance to fell unforgettable experiences in this pristine environment, with the guarantee of this young group, guides that born in the area. Part of the adventure is to be able to tell it. 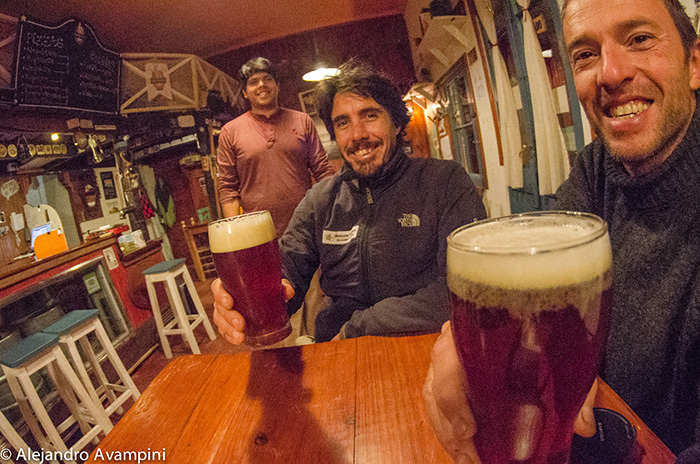 So with Pablo also enjoyed a pint of beer in the bar of a neighbor, Brad Spitz “ Cerveceria Guanaco”. 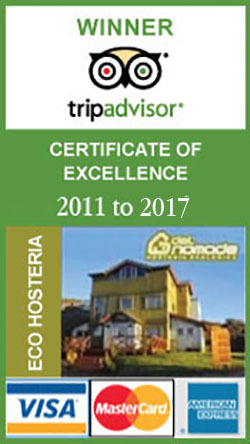 Our tourist Village, Puerto Piramides also offers alternatives to enjoy and celebrate. 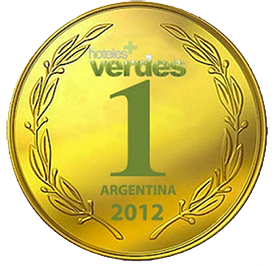 Every night, a few restaurants and bars in the only avenue of the town “Av. de las Ballenas” , encourage the encounter. Share experiences lived under the sun it is part of the same story. 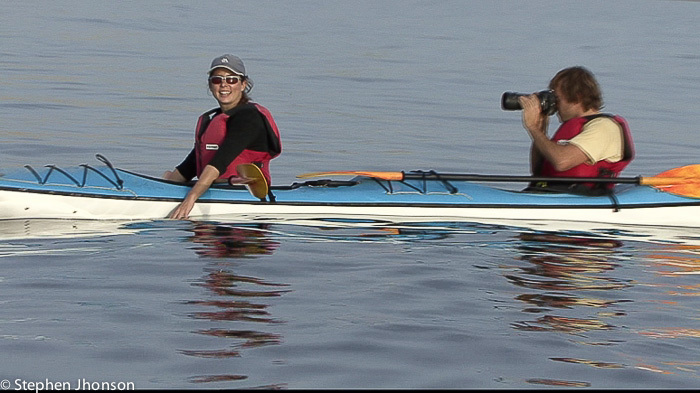 Here you can see the Video of those days of adventure in the San Jose Gulf, and more kayak in Valdes Peninsula, Argentine Patagonia.